The new University of Iowa president, Bruce Harreld, says his biggest challenge in his new job is building trust across the entire UI community. Harreld’s first day was last week. The former IBM Executive faced scrutiny before he was selected for the job for how the search was conducted. Harreld says right now his job is to listen. The University of Iowa Faculty Senate voted “no confidence” in the Board of Regents for selecting Bruce Harreld as president without sufficiently considering faculty and student feedback. 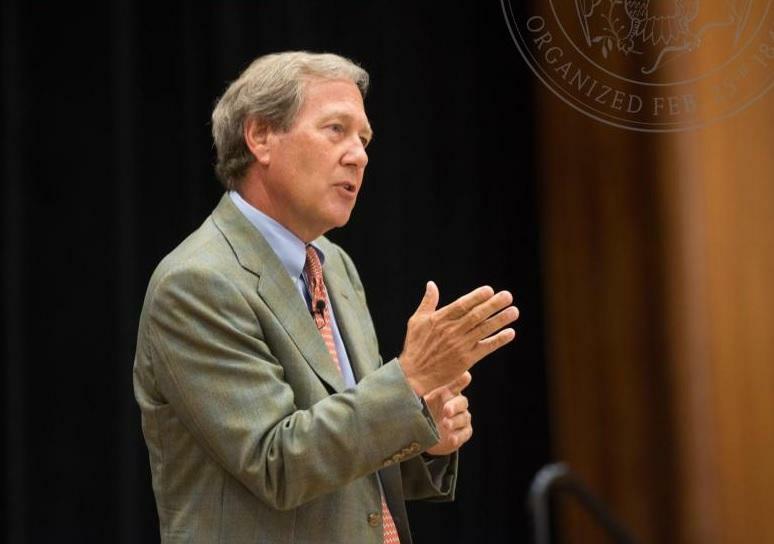 Harreld plans to ask for $4.5 million to recruit and retain top-notch faculty. Bohannan says so far Harreld is saying the right things. There’s been plenty of criticism on campus. More than 100 people protested on Harreld’s first day. In September, the Faculty Assembly of College of Liberal Arts and Sciences voted to censure him for discrepancies in his resume. Bohannan says the Faculty Senate will work with Harreld for the benefit of the institution. Regent Subhash Sahai has said some aspects of the search made him angry because a majority of the board had met with Harreld the summer before the search committee began evaluating applications. Clay Masters: It’s Morning Edition on Iowa Public Radio, good morning I’m Clay Masters. 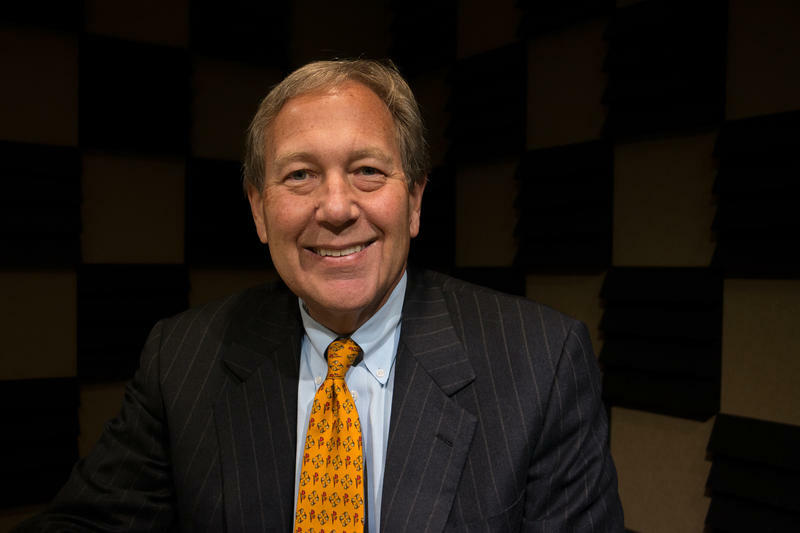 The new University of Iowa president, Bruce Harreld, is now a couple of weeks into his new job in Iowa City. Before he started the position there was a lot of controversy surrounding his hiring. He does not have a background in academics, he’s a former IBM executive whose taught at Northwestern as well as at Harvard Business School. The UI Faculty Senate voted "no confidence" in the Board of Regents for picking him as president but he’s here with me this morning. Good morning, Bruce. Bruce Harreld: Good morning , Clay. CM: Under all this pressure from the university community, protests calling for your resignation, there was even some talk early on that you weren’t even sure you wanted this job when you first were approached about it. Why did you still want the gig? BH: Well, I believe these institutions have played a very important role in our society for over a hundred-fifty years. They’ve been not only part of education at the higher ed level but also a part of our culture and a very important part of our economic development. CM: What do you see as your biggest challenge? BH: Right now it’s just meeting and learning and absorbing what’s going on and building trust across the entire community. CM: How do you build trust? BH: Talk, face to face, and meet people just like you and I are talking. Listening and then taking… it’s not all about talk. You gotta take some action so uh, I’m in the absorbing phase right now. CM: Have you been talking much with university faculty, those that were apprehensive of your taking this position? Do you feel like that’s helping shape your vision (for the) future? BH: Yes. I’ve been talking to… I asked all the deans to give me the senior most people in their faculty. Some of them are on the anti-Bruce line. Some are on the positive. I’ve been reaching out and meeting them one on one, listening and learning. In almost all cases I think we’re beginning to see a meeting of the minds on the issues that we face. CM: What do you think the biggest issues are? BH: The biggest issues, we’ve actually dropped about 20 points in the overall rankings over in the last 12 years. A key drive of that is faculty salaries, and so we’re starting to really focus in on people picking off faculty members from us um, creating holes because of the salary levels and all the rest we haven’t been able to fill them. So we’re getting- we’ve got a lot of work to do. I’ve asked all the deans to actually go through uh layer by layer with the provost uh, how we rank relative to our peers. So I know faculty compensation and the entire package is a huge issue that we need to dig into. CM: You recently told the Iowa City Press Citizen, you back a "faculty vitality" proposal, that is if lawmakers back, it would provide four and a half million-dollars for recruiting new faculty and also increasing salaries for tenured faculty. Why is this a good thing? Why are you supporting it? BH: Well I just gave you a little bit of data that said that we’ve dropped quite a bit in overall rankings. Our ranking in terms of faculty salary and compensation package’s dropped, even a little bit more than the overall rankings. And so I actually equate it to if this inst- an institution like this is all about knowledge, creation, and dissemination. And if we don’t have the best in the world doing that, it’s like fighting a war with uh maybe one or two arms behind your back, so it’s critical. CM: Shifting to something in the news this week. The University of Missouri president just resigned following tensions over a lack the university confronting racism on campus. What role should a college president play in shaping campus culture? BH: Critical. I think... (you) just can’t sit in your office. You gotta reach out to all sorts of constituencies, meet with them, understand their needs, um and then engage in improving where you are. I think it’s a continual process. I’ve already started meeting with a number of those constituencies in Iowa City. I will continue it. Am I satisfied with where we are? Absolutely not. We need to move forward. CM: What do you mean by, are you satisfied where we are? BH: Can we do better? Of course. They have needs. Very specific needs. At the same time, they need to be part of the broader community. So I think we can continue to meet their needs, I’ve asked a number of these communities to actually step back and… and and say what should we do short term to improve? What can we do longer term. So I think part again, it’s not just talking and um listening, it’s actually doing some things. And so I think a university president and the entire administration play a critical role in that process. But it’s… it’s then turning it into action. CM: Do you think that the president of the University handled it well? BH: I have no idea. I’m just watching it through the press, and no disrespect to you or anybody else in the press, I think you need to be very careful. Apparently some people there thought not, and uh things have now unfortunately moved on for those individuals. CM: And you were mentioning what to do long term? You were citing specifically campus culture? As far as different things that you need to look at long term? (Or are we) talking about the hostility that’s been in the air with you taking this presidency? Or are you talking big picture? BH: I was talking big picture. BH: I wasn’t talking specifically. I think there’s been a group, a small group that are upset about the process and me individually. But I have gotten an outpouring of people who are on the other side of that. I think we need to move on and get to work. CM: And in that respect how do you move on. It’s continuing to have these conversations. What’s next for you and at what point do you stop doing all of this and really focus on where to bring the university future? I mean, I know that with any job there’s this time where you learn about your surroundings, but when do you feel like you can really take over the reins? BH: I’ll feel my way through it, and I think right now I’m still… I’ve only met about 60 individual members of the faculty. I’ve only reached out to maybe a third of the various constituencies on campus that I need to. I’ve been going over the last week I was in Washington D.C. meeting alumni and today I’m here in Des Moines and I’ve got a lot more cities, uh across Iowa. Um, so I’m still absorb- I’m like a sponge right now. Um, when will I flip into a different mode? I think it’s more important when will we ready to flip into the different mode. I had a team meeting yesterday and we started talking about a path for moving forward. And how to engage various members... not just one-on-one but now in larger groups and trying to identify the key issues. That will start unfolding here in the next few weeks. How long will that take? I don’t know. I think it’s very important ... if you try to artificially rush these things, you get into premature either consensus or premature confusion. And I think both are dangerous. The balance is important and then uh… stay tuned. CM: Alright. Bruce Harreld thanks for taking the time to talk with us this morning. BH: Thank you very much, Clay. Good luck. A group representing faculty in the University of Iowa’s Liberal Arts College is censuring the UI’s incoming president, Bruce Harreld. Language and Cultures Professor Russ Ganim chaired the Faculty Assembly, a group representing the broader Liberal Arts faculty. He says censuring President-select Harreld isn’t meant to humiliate. “The purpose was not to embarrass anyone,” he said. “The purpose was to reaffirm our core values. First and foremost of those values being intellectual honesty. And academic integrity. The University of Iowa’s Faculty Senate has approved a motion expressing ‘no confidence’ in the Iowa Board of Regents. Tuesday afternoon’s action that followed a two-hour frustration-laced debate is the latest expression from the Iowa City campus, following the Regents’ hiring of business executive Bruce Harreld as the University’s new president. Senate President and Law Professor, Christina Bohannan, told the faculty she’s heartbroken. The Iowa Board of Regents has hired Bruce Harreld as its 21st president. The Board has unanimously approved him to replace Sally Mason, who retired last month. Harreld is a former IBM executive and Harvard Business School Faculty member. Harreld was the only one among the four finalists for the UI presidency who was not already leading a college or university. At his public forum in Iowa City Tuesday, many people challenged his qualifications to head a major university. Many others on campus have questioned the quality of the search firm that vetted candidates for the job.